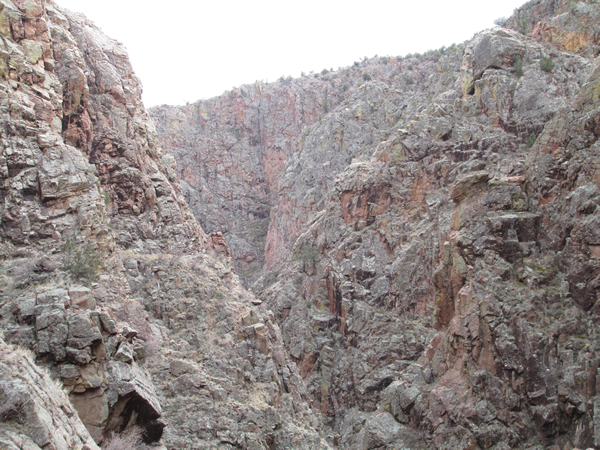 A couple of weeks ago a friend of mine invited me to go up to the Jemez with her for a day, and who was I to say no. It’s always beautiful in the mountains and I think everyone should disconnect from the pressures of everyday life once in a while- if only for a day. Also, like I mentioned in my last Off the Beaten Path, my cell phone Does Not get a signal in the mountains! Yay!! One of the places we stopped at was the Aspen Ridge Alpaca Farm. 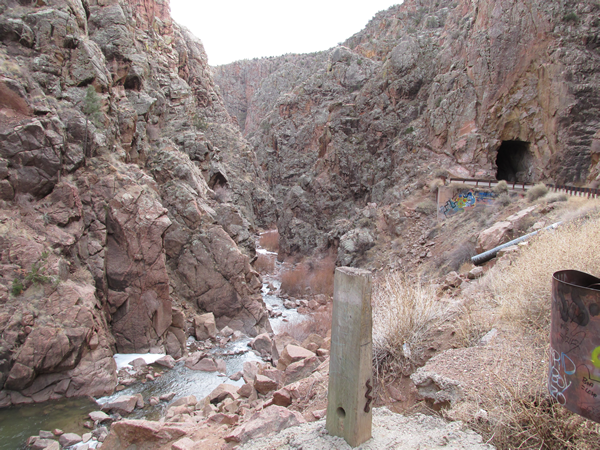 After stopping at the Alpaca Farm we had a bite to eat then drove down to the Gilman Tunnels, located in the canyons of the Jemez Mountains. But just as beautiful as the mountains. Before we arrived at the turn off to the Gilman Tunnels we stopped to get a picture of an enormous rock slide. You can see in the picture where the chunk of wall came loose, slid down and wiped out the red rock on the cliff. That would have been a sight to see. We next drove up to the tunnels and I found out that they were originally blasted out of the rock in the 1920’s for a logging railroad. They are huge, on the outside at least. When we drove through them they didn’t look so big. LOL There are several spectacular turnouts on the short climb and it is gorgeous up there. From what I have been told there are several ruins on the Mesa, including a fertility wall. One of these days, hopefully before summer hits I’ll get to hike up the canyon wall and check them out. The cliffs surround all sides of the canyon, but if you walk a couple of feet and look down there is a small river that flows through the rocks. It looks so cold with the big chunks of ice sitting there. These mountains look amazing. I love getting out in the outdoors and hiking. At the moment my baby doesn't allow for the hiking, but looking forward to getting back out there! I found your great blog through the WLC Blog Follows on the World Literary Cafe! Great to connect!